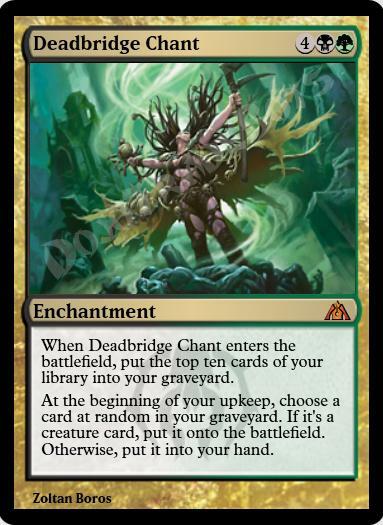 When Deadbridge Chant enters the battlefield, put the top ten cards of your library into your graveyard. At the beginning of your upkeep, choose a card at random in your graveyard. If it's a creature card, put it onto the battlefield. Otherwise, put it into your hand.